Our efforts are validated by the smiles of satisfaction, our customers beam. A testimonial to our services and product offerings is the long standing relationship with our customers. Humbled with gratitude we pledge continuous support to our trusted customers. Crossroads Clothing Pvt. Ltd has been associated with Gartechno and IIGM for the past 15 years, we have had a very satisfying experience with them. They have always been forthcoming in suggesting right machines ,technology, human resource and training. 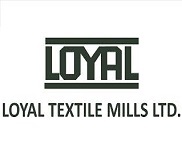 They have always been fair in their dealings and keep themselves abreast with the lastest in garment technology.Be it machines, factory designing, line balancing, training ,HR and new technologies, we have always consulted and gone with their suggestions. I wish them the very best in their future endeavors.